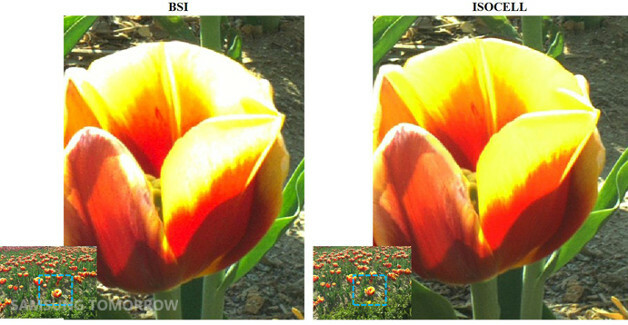 Better color in low-light photography with Samsung ISOCELL sensor. It’s about time. As smartphones creep ever closer to the gates of digital photography in terms ofmegapixel count, the failures of those tiny little sensors begin to become more and more obvious. One of the main problems you’ll get with a smartphone camera, other than a shallow depth of field, is poor low-light photography. Samsung’s new ISOCELL camera sensor promises to deliver better color reproduction in low-light conditions. So what is ISOCELL? Well, it’s basically an improved CMOS imaging sensor that’s outfitted with advanced pixel technology that ”substantially increases light sensitivity and effectively controls the absorption of electrons, resulting in higher color fidelity even in poor lighting conditions.” So says Samsung’s press release. Instead of shrinking the size of the pixels and increasing light sensitivity, as current sensors do, ISOCELL isolates the pixels, reducing ”crosstalk” between pixels by up to 30% – producing purer, crisper colors. The press material also states the sensor ”enhances the user experience of premium smartphones and tablets” and ”demonstrates Samsung’s technology leadership in image sensors for mobile devices.” Nice work Samsung, not bad performance at all for a sensor that hasn’t even been released yet! I look forward to having my user experience enhanced by a camera sensor. I’d settle just for better color in dark photos. The sensor is slated for release in Q4 devices this year, and as the quotes above indicate, it will only appear in premium devices, so don’t hold your breath unless you’re in the market for a nice, new expensive smartphone or tablet. All kidding aside though, this is a very welcome improvement in smartphone camera functionality, and should see you moving beyond auto mode in a flash. How important to you is low light photography on your smartphone? Will you buy a new device with an ISOCELL sensor? Samsung Galaxy S4 has the best battery? Color is popular of iPhone 5C?